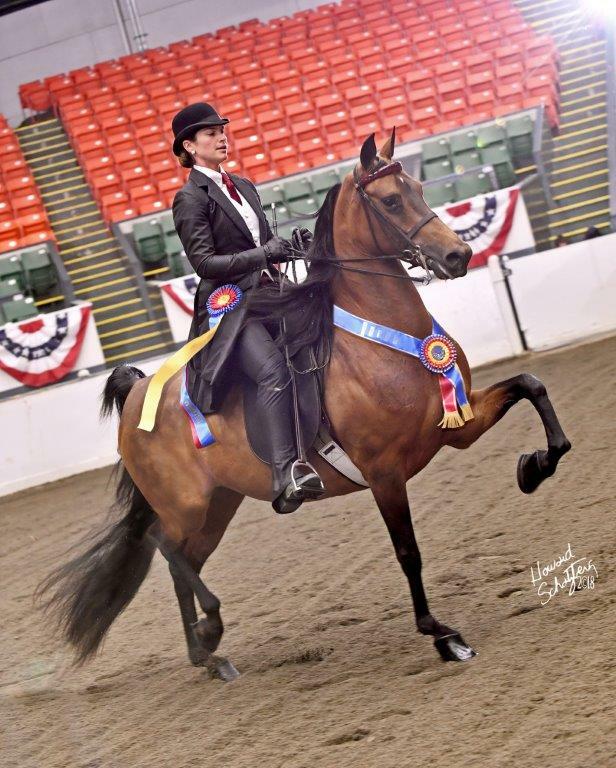 “Breaker” has busted onto the Morgan show horse scene with all the trot you can ask for in a Morgan breeding stallion! He debuted in performance in 2012 as the Junior Pleasure Champion at New England Regional, and finished that season as the unanimous Three-Year-Old Pleasure Driving World Champion AND the Three-Year-Old Pleasure Driving Futurity World Champion. In 2013, he added saddle to his promising career, again winning the New England Regional and Four-Year-Old English Pleasure World Championship. His four cornered trot, tiny hooked ears, and powerful expression make him the talk of many great horsemen. By the accomplished breeding stallion DBA Street Talk and out of the beautiful CMS Hit the Mark, “Breaker” is proving to be a wonderful producer! We have three stunning fillies and one incredibly two incredibly upright colts (all of whom are Bay). And his first foal is already a two time World Champion! In 2015, Vivre L’ Amore won the Two-Year-Old Park Harness Reserve World Championship, and in 2016 won the Three-Year-Old Park Harness Reserve World Championship! We would like to congratulate Erica Dorwart on her selection of Living on Easy Street (pictured below) at the 2018 Morgan Grand Nationals! Agent for the buyer was Phil Fountain of Fire Stables.